South Elgin| Corron Brownie Troop #1727 was delighted to tour the McDonald’s on Redington Road in South Elgin on Wednesday, March 20th. This restaurant tour will go towards the troop earning their patches for Baking and also a fun patch. 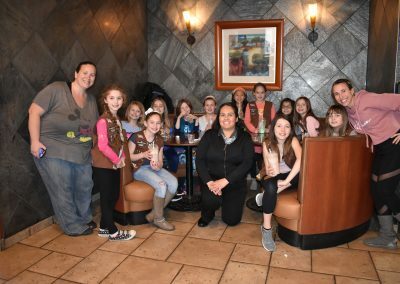 During this tour, McDonald’s General Manager, Jeanette Austudillo, took the troop through the entire process of what it takes to serve a great meal at McDonald’s. Jeanette showed them how the World Famous Fries, Sandwiches, and Shakes are made. She explained how the orders are placed, as well as showing them the huge walk-in refrigerator and freezer that stores all of the cold and frozen foods when the delivery truck arrives with the “groceries”. She explained that they are just like the ones in their kitchens at home only much bigger. The Brownies were able to ask questions during the tour and were very interested in everything they learned. 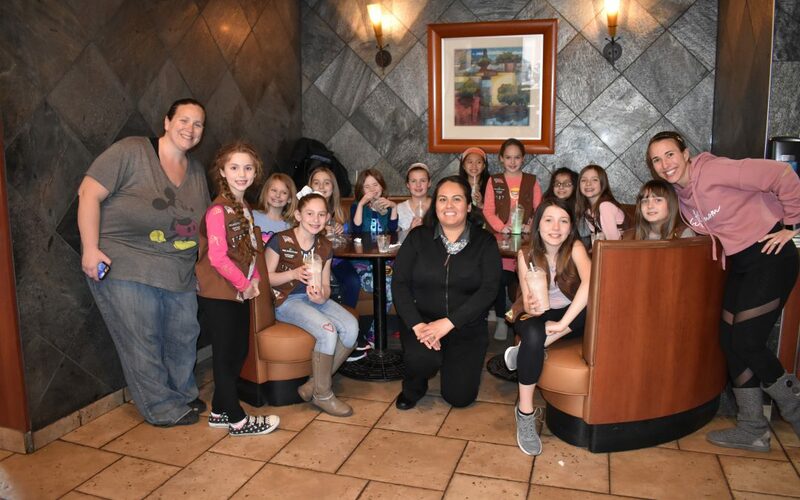 Troop Leaders Nicole Fraser and Megan Stone were also very interested in learning how the inside of a McDonald’s Kitchen is organized and how the process works. Many of the girls said they would like to work at McDonald’s when they turn sixteen. At the end of the tour, each girl was super excited to make their very own Shake or Vanilla Cone. This Restuarant Tour was courtesy of the Bear Family Restaurants and McDonald’s Owner-Operator, David Bear. Like us on Facebook and visit our Bear Website. For more information about events provided by the South Elgin McDonald’s, please contact Community Relations Director, Julie Travers at julie.travers@comcast.net.